Available to applicants ages 40 and above. Membership provides access to all of the Club’s facilities and amenities to include the championship 18-hole golf course, practice facility, tennis courts, swimming pool, clubhouse, bowling, dining rooms and all social related events and activities. Please contact club office for more information. Available to applicants 39 years of age and under at a reduced rate. 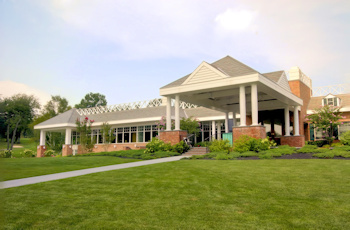 Membership provides access to all of the Club’s facilities and amenities to include the championship 18-hole golf course, practice facility, tennis courts, swimming pool, clubhouse, bowling, dining rooms and all social related events and activities. Provides access to all of the Club’s facilities and amenities to include tennis courts, swimming pool, clubhouse, bowling, dining rooms and all social related events and activities. Golf is limited to weekdays and two times per month on weekends as a guest. Weekend play is subject to an additional guest fee of $90 for each round of golf.